These URLs are the same as a Blob URI[ FILE-API ], except that anything in the definition of that feature that refers to File and Blob objects is hereby extended to also apply to MediaSource objects. A series of appendBuffer() or appendStream() calls on a SourceBuffer without any intervening abort() calls. 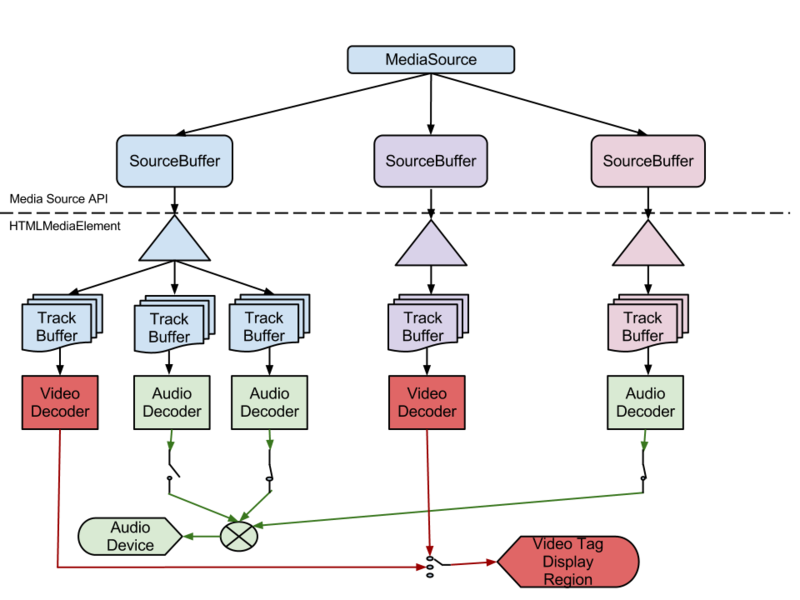 The media segments in an append sequence must be adjacent and monotonically increasing in decode time without any gaps. An abort() call starts a new append sequence which allows media segments to be appended in non-monotonically increasing order. Allow the resource fetch algorithm to progress based on data passed in via appendBuffer() and appendStream(). The next append sequence will be placed immediately after the append sequence that was just aborted. The next append sequence will be inserted at the presentation time specified by the timestampOffset attribute instead of the time computed from the timestampOffset attribute and coded frame timestamps. These abort modes cause the timestampOffset attribute to get updated when the first coded frame of the new append sequence is appended. This allows the rest of the coded frames in the sequence to follow the normal presentation & decode timestamp computation rules and provides a way for the application to observe what offset is being applied to these timestamps. Indicates whether an appendBuffer(), appendStream(), or remove() operation is still being processed. If mode is set and does not equal null, an empty string, or a valid AbortMode, then throw an INVALID_ACCESS_ERR exception and abort these steps. If mode equals "continuation" and the highest presentation end timestamp is unset, then throw an INVALID_STATE_ERR exception and abort these steps. If the highest presentation end timestamp is set, then update the continuation timestamp to equal the highest presentation end timestamp. Update the abort mode to equal mode. 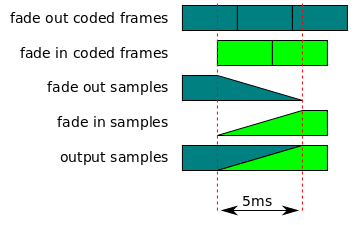 Each track buffer has a last frame duration variable that stores the frame duration of the last coded frame appended in the current append sequence. The variable is initially unset to indicate that no coded frames have been appended yet. The abort mode variable keeps track of the AbortMode passed to the last abort() call. It is unset when the SourceBuffer object is created and gets updated by abort() and the coded frame processing algorithm. The continuation timestamp variable keeps track of the start timestamp for the next append sequence if abort() is called with "continuation". It is unset when the SourceBuffer object is created and gets updated by abort() and the coded frame processing algorithm. The highest presentation end timestamp variable stores the highest presentation end timestamp encountered in the current append sequence. It is unset when the SourceBuffer object is created and gets updated by the reset parser state algorithm and the coded frame processing algorithm. Unset the highest presentation end timestamp. Set timestampOffset equal to continuation timestamp - presentation timestamp. Let old timestampOffset equal the current value of timestampOffset. Set timestampOffset equal to old timestampOffset - presentation timestamp. If last decode timestamp for track buffer is set and decode timestamp is less than last decode timestamp or the difference between decode timestamp and last decode timestamp is greater than 2 times last frame duration, then call endOfStream("decode") and abort these steps.